Platinum Play is a member of the Fortune Lounge Group of Online Casinos. All casinos in the Fortune Lounge Group must adhere to our high standards and principles. When you play at a Fortune Lounge casino, you’re assured of high levels of responsibility, security and service excellence. The Fortune Lounge Group ensures that all our players are protected at all times, with the latest online security and encryption technology. We are pro-active in identifying fraudulent activity and eradicating it to make Fortune Lounge casinos a safer place to play. 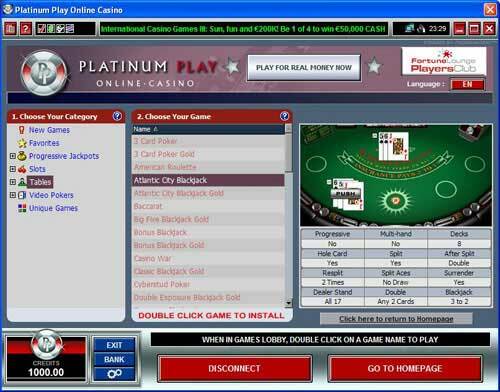 As already mentioned, Platinum Play uses the Microgaming casino software for their games. This is a popular poker and casino network, and you can only expect the best. Platinum Play does not accept US players. The lobby opens with a cheesy flash animation (who wants to see that?) and brings you to “what’s hot.” Just skip past this and click on “more games” on the left side to be taken to all the games they have to offer. 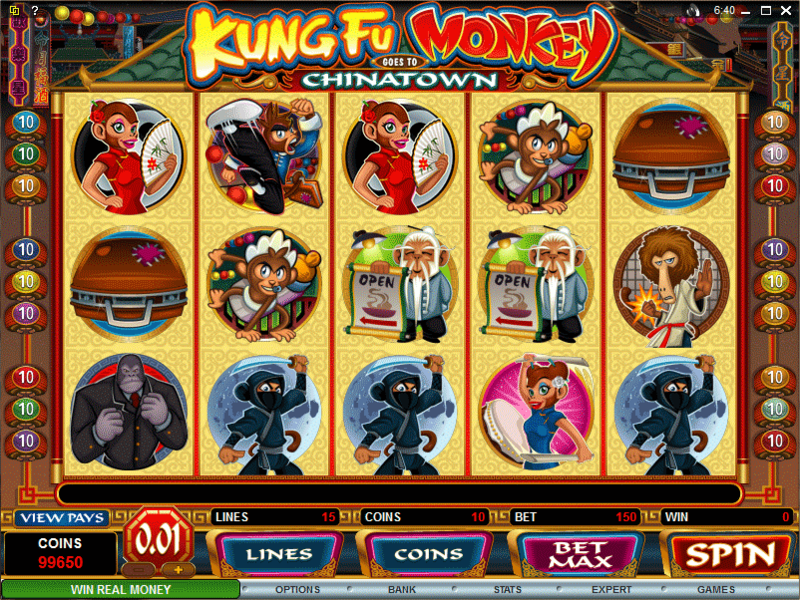 The main lobby is broken into 7 categories; New Games, Favorites, Progressive Jackpots, Slots, Tables, Video Pokers, and Unique Games. You can press the tab on the left to expand whichever category you choose. A couple of good features at Platinum Play was the language filter. You can easily switch between 9 different languages right in the lobby. I also liked the favorites feature and it remembers which games you play, just to make it a little easier to locate them next time. This is also the same for slots, video poker, and other table games. Nice touch. You will probably want to turn off that annoying music and background noise when you start playing. I guess the ambiance is suppose to make it more real, but I found it to be just plain annoying! So if you’re like me you would search for the options button, which is actually displayed as at the bottom of the lobby. There really isn’t much to adjust besides the speed of the game, sound settings, and some autoplay functions (more on that below). Speaking of adjusting the speed, the standard setting is very very slow. In fact, when I set it to fastest I still felt like it was lagging. This has to do with that monotone dealer voice, it takes him pretty long to say “Dealer has 14, Player has 15,” especially if you’re playing 5 hands at once. I just disabled all sounds because I couldn’t figure out how to turn off the dealer’s voice by itself. This has its problems as well. It does speed it up more, but you have to be sure to check for soft hands because it will not display them correctly. If you have A3 it will just say 14 and not 4/14. Also there is no warning for strange bets. The % button at the bottom of the table will bring up some weird statistics page showing how many hands were played, how long, hands per hour, largest wins, etc. 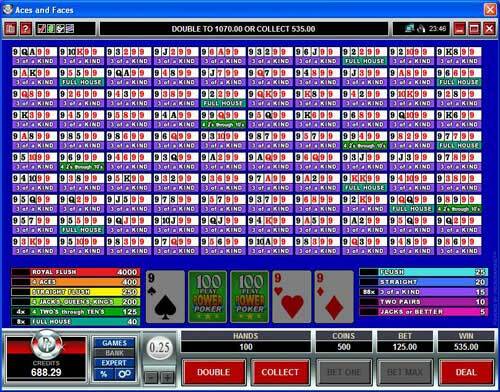 It also has other tabs showing the percentages of the final hand the dealer when it has a 2-A showing. Pretty useless information is you ask me, kind of like the “last spin” display on roulette. Platinum Play is not shy about telling you they have 150+ games at their casino. This is a lot to chose from, although to be fair to other casinos most of these are slots. However they do have a ton of variety of Video Poker and Blackjacks. Of the games offered they have 100+ slots, 15+ Video Pokers, 20+ Blackjacks, Roulette, 3 Card Poker, War, Baccarat, Let ‘Em Ride (Called Poker Ride), Pursuit, Craps, Keno and more. 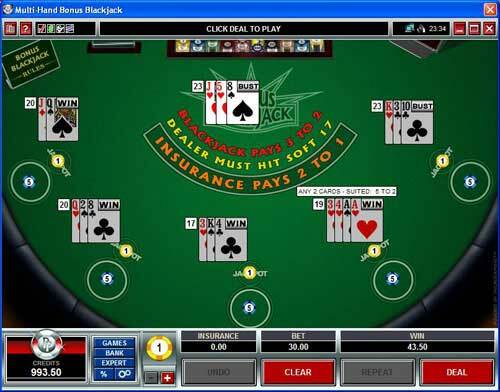 Of the large number of blackjack games offered, there are many you should avoid. There are a lot of sucker bets you can fall into, and more and more casinos are starting to add these. For example, in multi-hand bonus blackjack, you can bet anywhere from $1 up to $25 on the side for every hand (up to 5 hands at once). By doing this you can win extra money if you get a special hand dealt to you. You will get 5:2 on your money if your two cards are suited, 25:1 if you get a blackjack with AJ suited in diamonds, clubs, or hearts, or 50:1 with the AJ of spades. This is a terrible sucker bet and you will lose money in the long run by betting on it. There are also many progressive games you can play if you’re looking to score that huge jackpot. 15 different slot machines, 2 video pokers, Poker Ride, Roulette, Triple 7 Blackjack, and Cyberstud Poker. I have used the term “sucker bet” a lot, and this could be considered that as well. It’s just another bet the casino tried to get you to make with horrible odds to hit. But if you do hit, you’re in a for a big treat. For example, in Poker Ride, a royal flush normally pays 1000:1 (which is horrible odds I might add!) but if you place a $1 bet on the progressive each hand you could win $170,000+ if you happen to hit. Platinum Play Casino is the place for variety, and it is the same with Video Poker. There are progressive machines that will give you a nice payday for a Royal Flush in diamonds or four of a kind jacks with a wild card for a kicker. Pretty rare but the jackpot usually is $25,000+ (make sure to always max bet!) 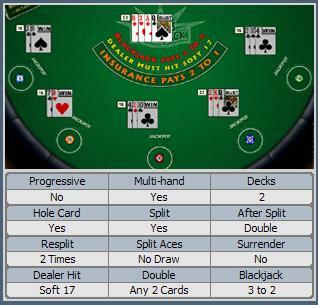 There are many other games some with wild cards, some with jackpots, and almost all of them offer 50 – 100 hands at a time. One feature I liked is the auto hold which will automatically hold the smartest draw. This makes using autoplay very easy if you want to try it. And please, turn off that tempting “Double or Nothing” feature. You have a chance to double your winnings on any pull, but what they don’t tell you is sometimes you have a 0% chance to do so. 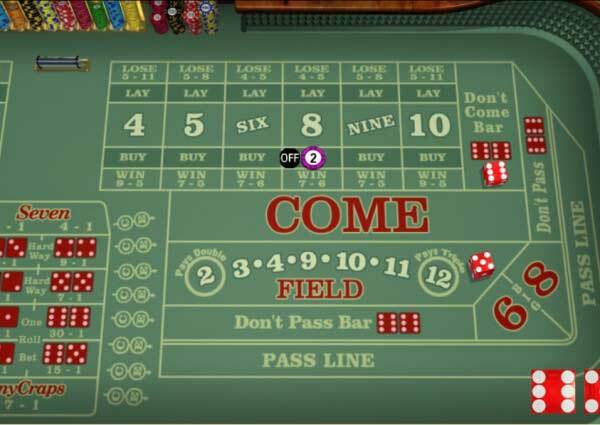 At table games you can bet $1 – $200 per hand, and they also have high stakes tables you can load to bet up to $1000. Slots (and video pokers) start at $.01 and it varies on their max bet, from $.50 up to $5. There are a bunch of ways to get your money onto the Platinum Play casino. They accept EcoCard, Major Credit Cards, Click2Pay, Ukash, EZIPay, InstaDebit, UseMyBank, Neteller, Moneybookers, Bank Transfer, and eCheck. Not all of these are available to everyone depending on your location. You can play in whichever currency you chose, US Dollar ($ USD), Great Britain Pound (£ GBP), EURO (€ EUR), Australian Dollar(AUD) and Canadian Dollar (CAD). The cashier doesn’t have much information in it, just to deposit and withdrawal. They have a built in live chat feature incase anything goes wrong or if you have any questions which is a nice touch. Depositing is really easy, just select your method, enter your information and amount, and it should show up in your account within a few moments. (Everything except Bank Transfer is instant, which can take up to 72 hours). PlatinumPlay offers first time players the opportunity to earn a bonus of 100% up to €200. There’s no bonus code required, but you must play through your deposit once before your bonus will be issued. This offer is available for the same number of credits using USD instead of EUR. If you should be unfortunate enough to lose your entire balance, then you can still get another 100% up to €200 Platinum Play Casino bonus on each of your next four deposits. Furthermore, you’ll receive 50 free spins on your third deposit at Platinum Play. Note that if you make a withdrawal before accepting all five of these bonuses, then the remaining deposit bonuses will become unavailable. Each and every bet played will add Fortune Points to your Players Club points balance. These Fortune Points are redeemed into free casino credits which are deposited into your favorite Fortune Lounge casino account by login into the Players Club website. Players earn 1 Fortune Point for every 1 casino credit played on Slot Games. 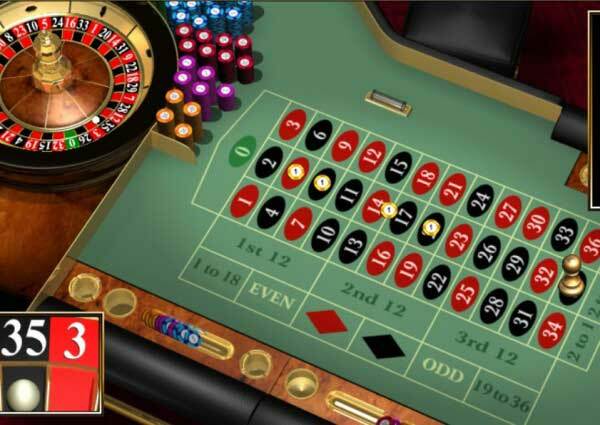 Players earn 1 Fortune Point for every 10 casino credits played on Sic Bo and Roulette Games. Players earn 1 Fortune Point for every 20 casino credits played on Craps, Video Poker, and most Blackjack games. Players earn 1 Fortune Point for every 100 casino credits played on Classic Blackjack and All Aces Video Poker. The more you play the higher your level is raised. There are some great benefits, including reload bonuses and other promotions. Your points expire after 60 days if not used, so be sure to take advantage! I had a good experience with the PlatinumPlay support desk. I used their handy live chat feature a few times and always had my questions answered in a decent time frame. Sometimes the wait can be a few minutes before they respond, but for the most part everything went good. Their e-mail times can vary from a few hours to 10-12, so I just recommend you use the live chat with any quick questions. You can also contact them via telephone and they have numbers for over 20 different countries.